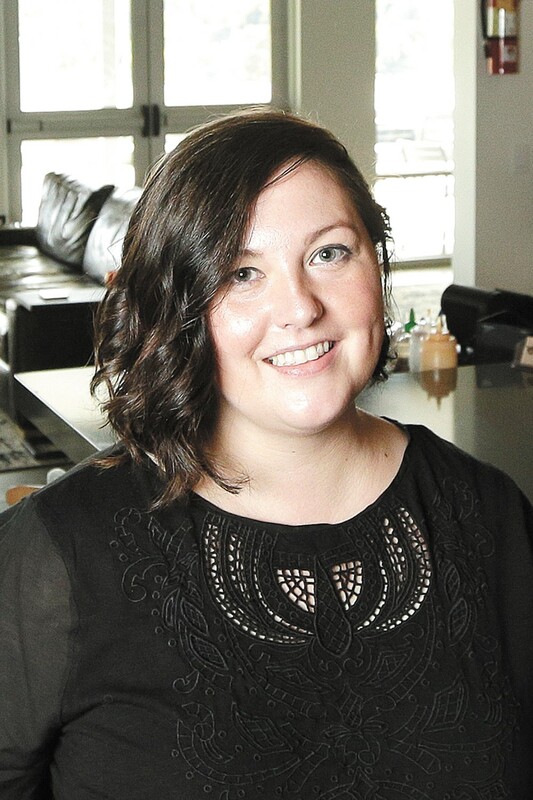 About the bartender: "I've done a lot of basic bartending, and have loved getting to know regular clients and building a neighborhood crowd. I got an opportunity to work at Clover under Paul Harrington's bar program there. ... That afforded me the chance to learn classic cocktails, pre-Prohibition styles and proper techniques. I was with Clover for about five years and loved that experience so much. I got a really good bar education there. It was really fun to come [to Umi] and use my experience making quality cocktails, and using Asian inspiration in some of our signatures." How it's made: The drink starts with reposado tequila — that's tequila that has been barrel-aged — and fresh-squeezed orange juice. A shrub made of lychee berries, a tropical fruit that's especially common in Chinese cuisine, is added, and the mixture is shaken with ice cubes. It's then poured into a glass full of frozen black tea that's put through a Hatsuyuki hand-cranked shaved ice machine, creating a sort of alcoholic Sno-cone. The drink is served with a straw and garnished with an edible flower. The frozen ice slowly melts as you drink it, infusing itself into the cocktail. Bartender's thoughts: "Well, the shrub is interesting, because it's equal parts sugar and vinegar, and I think the vinegar has a palate-cleansing quality to it and gives it a freshness. ... People think tequila and summer, but going with the [reposado] tequila that's been barrel-aged balances it out a little bit, and the wood notes bring it into fall. Then you've got the orange juice, so you've got the citrus, and the way orange juice is sweet plays into this drink. So it really balances. You've got the vinegar, the juice and the tequila that's been rested. It's an easy drinking cocktail that has enough complexity to make it interesting." In terms of dishes that will pair well with the drink: "I think this would be great with sushi — sashimi, nigiri, the raw fish. This would be really nice and light next to them." Our thoughts: Because of the tequila, your mind might jump right to "margarita" when you first start sipping the Fujian. But the flavors are a lot more playful and unpredictable than that. It has a citrusy sweetness to it, but the subtle sourness of the lychee shrub (which actually tastes pretty good on its own) cuts through the more saccharine notes that OJ can sometimes have. 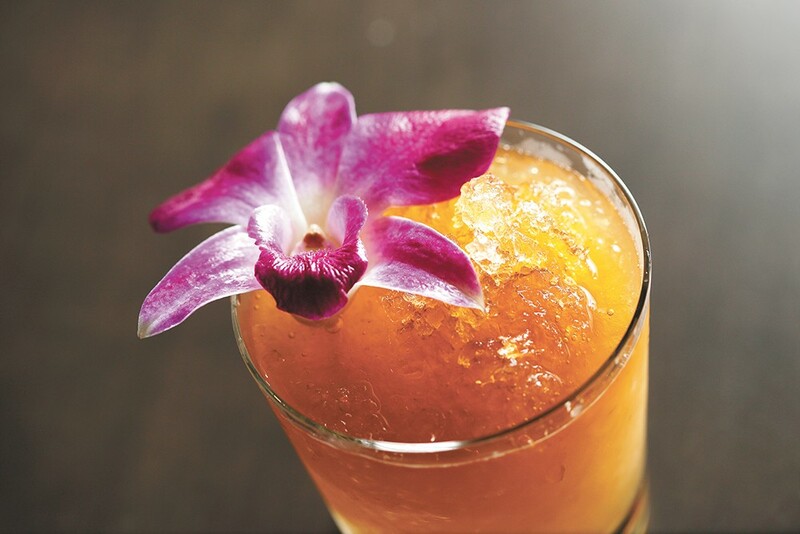 As Early describes, the shaved ice presentation might make you think the Fujian is a bright, summer cocktail, but the dark, woody undertones of the reposado tequila round out the flavor profile. And yes, it's very easy to drink. The original print version of this article was headlined "AsianInspiration"
The original print version of this article was headlined "Asian Inspiration"